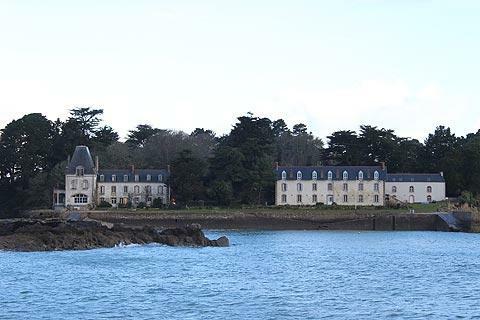 Douarnenez is found in the Douarnenez Bay, in the Finistere department north-west of Quimper. It is a workaday town with an active sardine fishing and canning industry. As with many Brittany coastal towns tourism is coming to play a larger part in the town as the fishing industry declines, and not surprising, because this port town has much to commend it, not least the harbour area and the easy access to beaches. The town itself is pleasant, mostly 18th century houses built around the flourishing fishing industry. 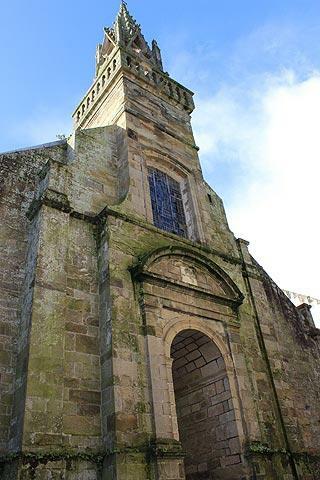 There are also several churches and chapels of interest in this part of the town, known as the Quartier du Vieux Port, so this is a good place to start exploring and also a chance to visit the Douarnenez tourist office. The small Chapel of Saint Helene here dates from the 16th century and the origins of the village as the sardine industry started to develop and the village rapidly grew in size. Take a look at the ancient carved stone on the front of the chapel that shows a gannet diving towards a shoal of sardines, thus indicating their position to the fishermen. 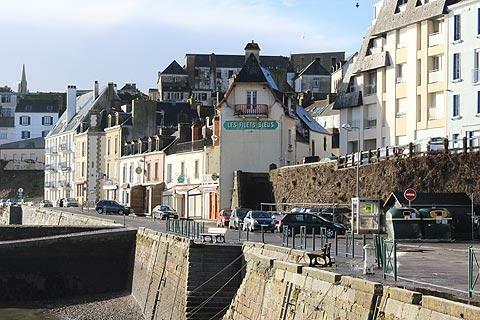 The most picturesque parts of Douarnenez are found along the waterfront and can be seen in several different parts of the town, including the Quartier du Grand Port in the town centre. There is also a wide choice of cafes and restaurants along and near the port. 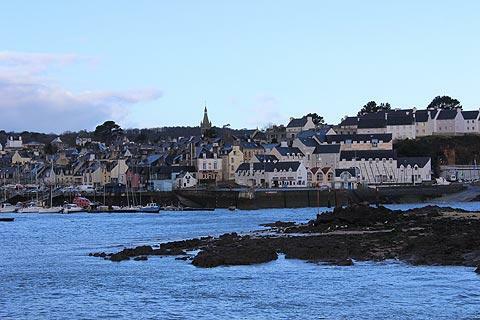 The marked route to explore this part of Douarnenez is called the Chemin de la Sardine (details from the tourist office) and is worth following to ensure you see the interesting historical sites and avoid the more recent industrial part of the port. It starts from the Belvedere des Ploumarc'h at the eastern end of the Rue des Ploumarc'h: from here you can follow the sardine medallions to find the route! For much of the first half of the 20th century the town was a leading centre for the communist struggle in France, due to the problems faced by the workers in the sardine industry including decreasing catch sizes and increasing automatisation of the fish treatment process. 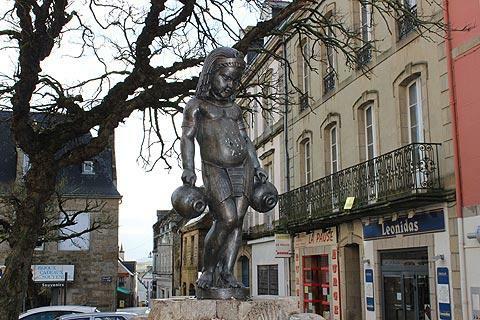 Douarnenez had a communist council from 1921 and 1940 and was often referred to as the 'red town'. You can also walk a short distance west from the Tourist Office along Rue de Port Rhu then left along the Quai du Port Rhu to walk about one kilometre along a waterfront promenade where you can admire numerous small boats and a pretty view to the tree lined shore opposite. You can also use a footbridge here to cross the estuary and take a stroll around the pleasure port. The Port Museum is also here and is well worth visiting to see its collection of old ships and boats, many meticulously restored to their former glory.The museum takes up a large part of the harbour around Port-Rhu and is a fascinating place to visit. 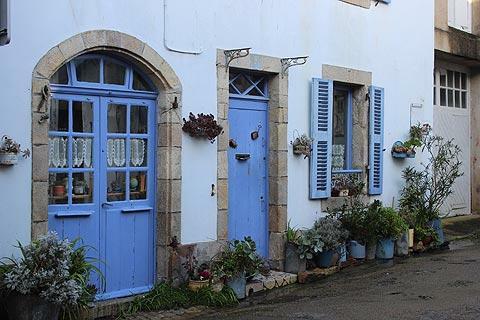 In the east of the town you will want to follow the coast path that continues to the Plage du Ris and also to explore the Plomarc'h Natural Site which is a calm natural environment where you can also see some traditional fishing cottages and an archaeological site. To the west there is another coast path from the pleasure port that carries on to the headland with the Plage des Sables Blancs. This westerly region of Douarnenez is called Tréboul and contains a popular spa centre and is the more recently developed part of Douarnenez. 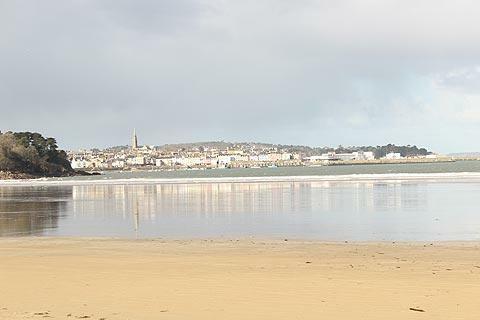 There are several beaches close to Douarnenez, including the small beaches called Plage des Dames and Plage Saint Jean near the centre of the town: these beaches are convenient if you are staying in the town itself but otherwise you will want to travel a short distance to the nearby larger beaches. The most popular of these are the Plage des Sables Blancs in the north-west of the town and the Plage du Ris at several kilometres to the east (these two larger beaches have lifeguards during the summer season). The Plage du Ris is in a lovely setting with views back to the town in one direction and to a rocky headland to the east. 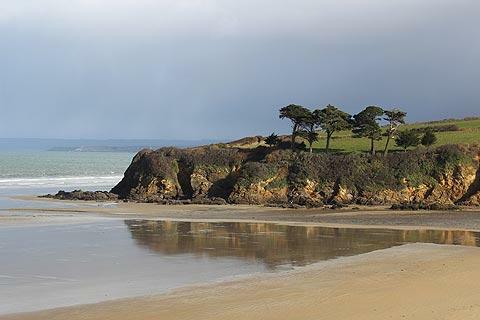 Just off the coast of Douarnenez is the Ile Tristan, with stories that both the island and town are linked to the original story of Tristan and Isolde. The island can be visited on foot during low tide and is an attractive mix of natural environments, woodlands, parks and an exotic garden. 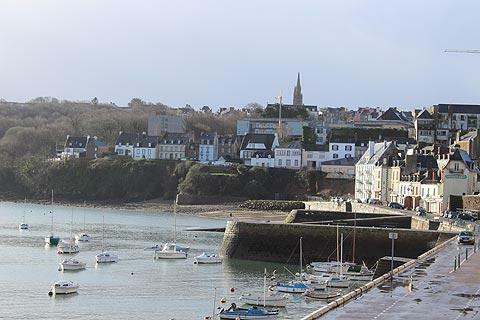 There are also some nice walks along the coast around Douarnenez and it is possible to take a boat trip around the harbour for a different view of the town. A few kilometres east of here be sure to also visit the picturesque village at Locronan, one of our favourite villages in France.